Solar power is power that is produced by the sun. Nuclear fusion occurs within the core of the sun, causing energy, heat, and light to emit outward hitting the earth. When this energy is captured through solar, it can be converted into electricity, giving earth a renewable energy for around the next 5 billion years. There are three main techniques of harnessing solar energy: Photovoltaics, Concentrated Solar Power, and Solar Architecture. Photovoltaics and concentrated solar power produce electricity where as solar architecture does not. The purpose of this blog is to focus on the complexity of photovoltaics and concentrated solar power, and how the techniques produce electricity. 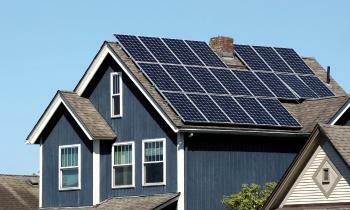 Photovoltaics is a solar technology that directly converts sunlight into electricity. Photovoltaic cells work by submerging silver-chloride into an acidic solution and exposing it to sunlight. The platinum electrodes that are attached to the silver-chloride generate an electrical current. Each cell on a PV panel is made up of this solution or a very similar solution. 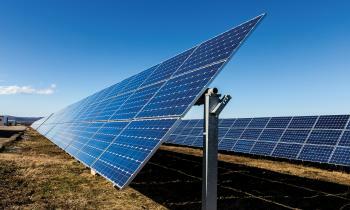 Photovoltaics are used in both commercial and public applications. The largest PV solar plants are located in the United States, India, and China. These plants generate hundreds of megawatts, powering millions of homes, businesses, schools and, hospitals. 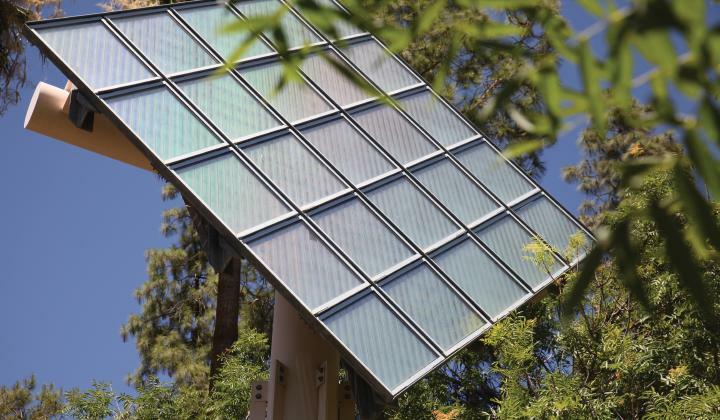 Smaller applications— such as a home solar power system— provide electricity for homes and sometimes giving electricity back to the grid as well. 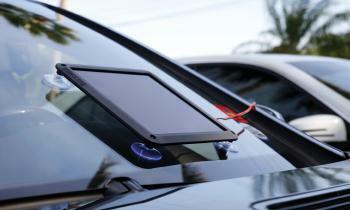 Systems as small as calculators and parking meters also tend to use photovoltaics as their source of electricity. Commercial applications such as photovoltaic power plants, large installations, and large businesses provide power to millions of people. 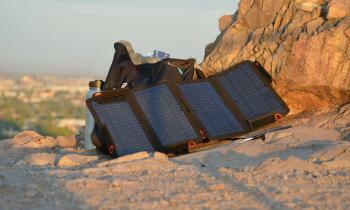 Personal solar applications often including battery maintainers, outdoor lighting, calculators, and more. Home installations provide power for personal use, and occasionally the homeowner is able to sell the excess power back to the grid. 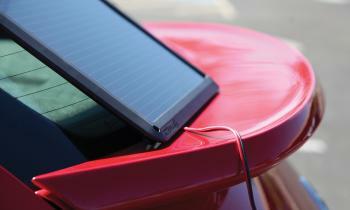 The BLSOLAR2 is a 2.5-watt solar battery charger and maintainer for maintaining 12-volt lead-acid batteries where A/C power is not readily available. 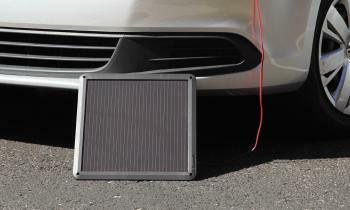 It provides up to 180mA of trickle charging current directly from the sun to counteract parasitic drains of most vehicles, such as cars, boats, trucks, motorcycles, ATVs, RVs, lawn mowers, and more. BLSOLAR5 is similar to BLSOLAR2, but has a surface area that is twice as large, and is rated at 5 watts. It is also a charger and maintainer for cars, boats, trucks, motorcycles, ATVs, RVs, lawn mowers, and more. 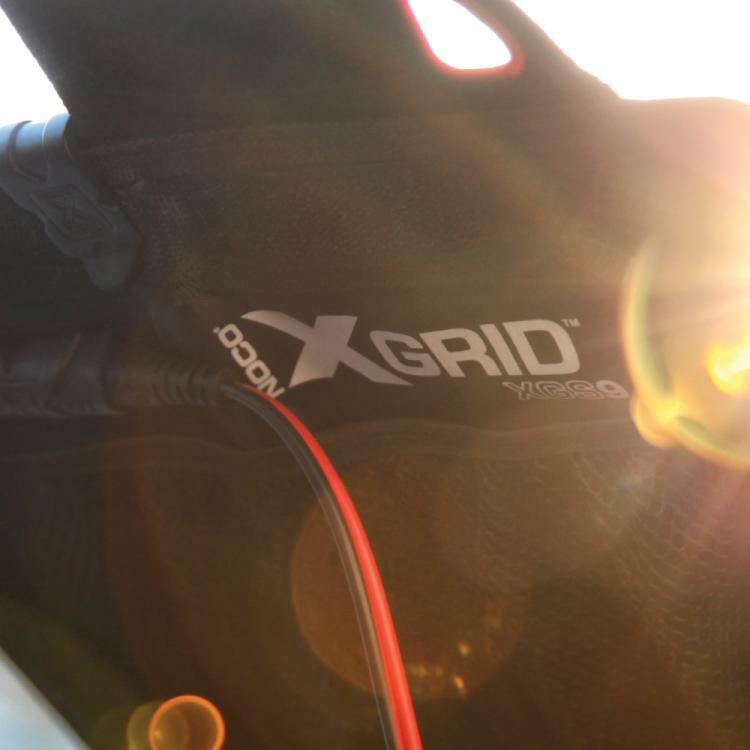 The XGrid XGS9 is a portable photovoltaic solar charger has a 9 watt power rating. The XGS9 charges devices such as smartphones, tablets, cameras, and more. 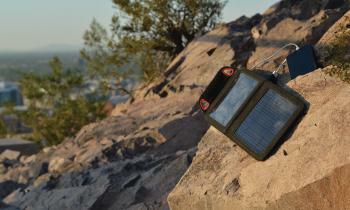 Similar to the XGS9, the XGrid XGS4 is a portable photovoltaic solar charger, that has a 4 watt power rating. The XGS4 charges devices like smartphones, tablets, cameras and more. Concentrated Solar Power is a solar technology that converts sunlight and the heat generated from sunlight into electricity. The process can be done in two ways: parabolic troughs and solar power towers. Parabolic troughs use large curved mirrors that reflect sunlight onto a center pipe that is filled with water or liquid sodium. The water or liquid sodium is heated and turned into steam. The steam is then pressurized and used to turn a turbine. The turbine is connected to a generator that converts the movement of the turbine into electricity. 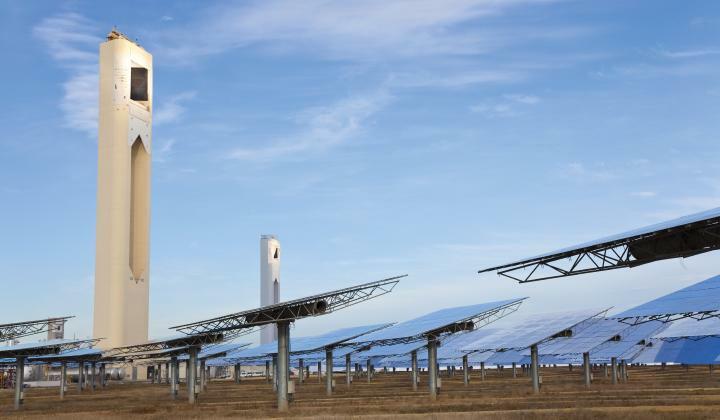 Solar power towers use a similar process that parabolic troughs use, the only difference between the two is that solar power towers use focused light from a hundreds of panels called heliostats. The heliostats track the sun’s movement and focus the light to the top of a center tower. This is a picture of light hitting a power tower. The light produced by the concentrated sunlight is so bright that the naked eye can’t identify the edges of the receiver area. The heat produced by the concentrated sunlight can reach over 1000 degrees Fahrenheit. This is a picture of a parabolic trough. The light can be seen hitting the center tube causing the liquid sodium to reach temperatures over 750 degrees Fahrenheit. The process of obtaining electricity from the sun using CSP starts with the light from the sun being reflected and concentrated to a point. For parabolic troughs light is used to heat a pipe with water running through it (Step 1). The water then turns to steam that is sent through a steam drum where it is pressurized (Step 2). The steam is then used to turn a turbine that converts kinetic energy into electric energy (Step 3). The kinetic energy is converted by a generator into usable energy (Step 4). The power is then sent to the grid where it can used by millions (Step 5). The steam, after it passes through the turbine, is condensed back to a liquid and then recycled (Step 6). 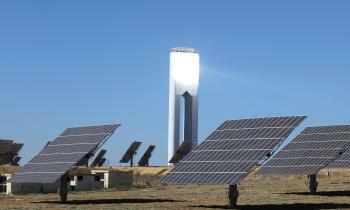 The process for power towers is all the same except instead of using a trough to reflect the light power towers use hundreds of mirrors that track the sun called heliostats. These heliostats focus the light to one single point on a center tower. The tower has water or liquid silicone running through it that is then heated, creating steam. 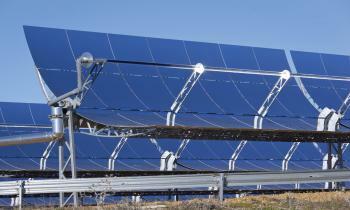 Both photovoltaic and concentrated solar power can effectively harvest energy from the sun. The two technologies are designed to maximize productivity while minimizing the overall footprint. The difference between the two is that PV converts sunlight directly into energy where as CSP uses the heat from the light and converts the heat into kinetic energy that is then converted into usable electricity. 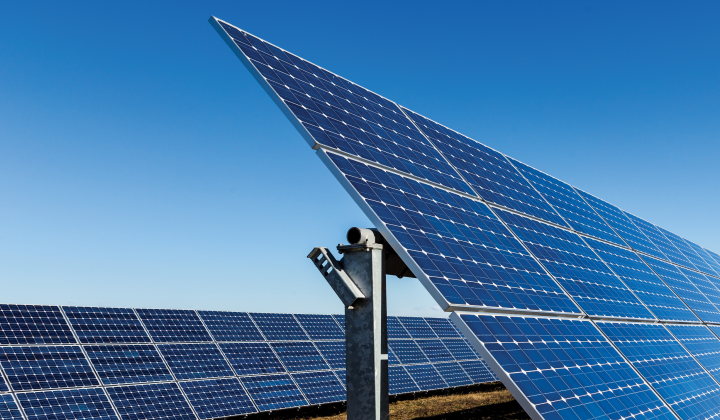 Both technologies are becoming more prevalent and scientist are discovering new ways to make these technologies more efficient and even coming up with new solar technologies that can out perform the existing technologies.